Set in a department store, four women meet while shopping for a black lace bra at a lingerie sale. After noticing similarities among one another, the cast jokes about their woeful hot flashes, mood swings, wrinkles, weight gain, and much more. These women form a sisterhood and unique bond with the entire audience as they rejoice in celebrating that menopause is no longer "The Silent Passage." 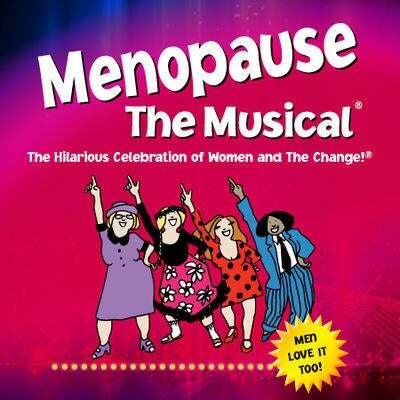 Inspired by a hot flash and a bottle of wine, Menopause The Musical was created as a celebration of women who find themselves at any stage of "The Change." The laughter-filled 90-minute production gets audience members out of their seats and singing along to parodies from classic pop songs of the '60s, '70's and '80s.